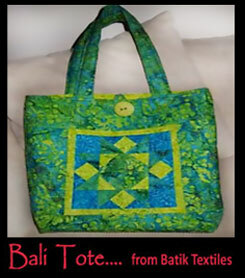 Designer Bali Box Tote Patterns 3 styles to choose from. Check out our Designer Bali Boxes chock full of beautiful handmade batik fabrics from one of our newest collections. Customers select their favorite color scheme and create a quilted Bali Tote from our pattern or use the fabric for their own project. Each box contains 5 half yard cuts of color coordinated fabric plus a pattern for our Bali tote created by designer Susie Shkolnik. Once the project has been completed, there will have a lovely fabric covered box left for personal use. 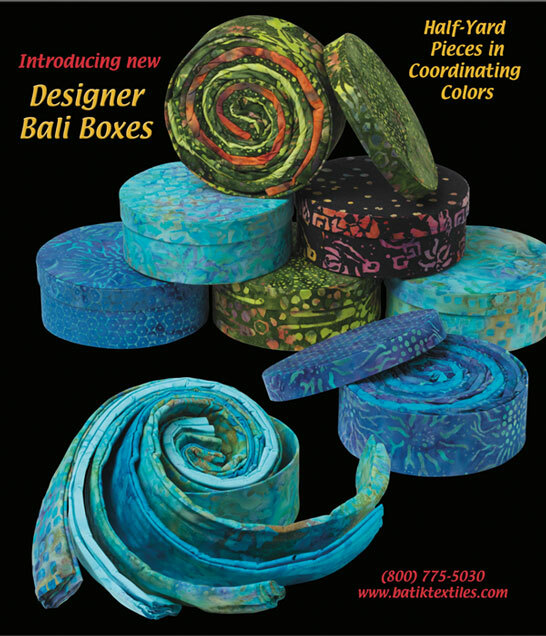 The beautiful handcrafted Designer Bali Box can used for storing sewing notions, jewelry or anything your heart desires.